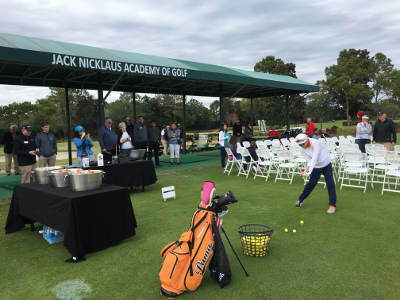 For more than 25 years, the Nicklaus Academies have been using a comprehensive program that involves “intensive, hands-on instruction” combined with the latest golf technologies. Using the playing philosophy of Jack Nicklaus, who is considered to be the greatest player of all time, the Nicklaus Academies are respected worldwide for their prestigious instruction program.With operations in ten countries, the latest Jack Nicklaus Academy of Golf opened its doors at Hawk’s Landing Golf Club in Orlando, Fla. FlightScope is in use at this facility and we are proud to partner with Nicklaus Academies to provide instructors, fitters, and students with top-notch technology to aid in player development.Check out the U.S. Golf TV article below that explains the philosophy behind the academy.